I was glad and honored to meet this « star » of contemporary music, even though the interview was too short and held in a noisy place. His quartet was in Paris to participate in the “Biennale de quatuor à cordes” at the Philharmonie, giving a program with works by Philippe Hurel, Hugues Dufourt and James Dillon. TV: This is a paper about an interview I made of Antoine Maisonhaute from the Tana Quartet. Do you know them? IA: No: we don’t meet many people: you play, they don’t, if they play you don’t and so forth, that’s life! TV: A general survey on contemporary music? IA: That’s a vast question! Of course literally, contemporary music means music of your time, but it has considerably changed since our beginnings, let’s say some forty years ago. There are now many diverse directions, many more than when I started. Diversity is a main problem for an interpreter. We try to follow most directions except for example minimalism; we played some minimalist composers in the past, but not much anymore, even if we play some pieces by John Cage of Morton Feldman which could be considered minimalist in a way. But generally we try to play the largest range of repertoire. TV: What is the trend for contemporary repertoire for quartet, are there more creations now than let’s say thirty years ago? IA: Oh yes! Nowadays, there are more quartets specialized in contemporary music; young quartets are more accustomed to contemporary music. I’ll give you an example: we were asked a long time ago, probably in the eighties, by the South Bank in London to perform the four Schoenberg quartets with British ensembles and we had learned only the fourth at that time. I made many phone calls and research and could not find any other British quartet to play two out of the other three, so we decided together with the South Bank to perform them all ourselves. We were happy to do it but it was a great amount of work. Nowadays all great classical quartets, Hagen, or the Artemis who play tomorrow after us play contemporary music. Twenty years ago, maybe the Alban Berg quartet was the only one famous in the classical repertoire playing also contemporary music. I recall being happy to get their violist and cellist, Thomas Kakuska and Valentin Erben, to join us with Schoenberg’s Verklärte Nacht during our complete cycle of second Viennese school’s music. We enjoyed playing together so much that we decided to continue the collaboration by performing the two Brahms’s sextets together and commission sextets from Friedrich Cerha and Iannis Xenakis. TV: I went through your Website and counted – only for quartets – around 950 works and among them more than 550 world creations… So you did many premieres, have you done many “seconds”? IA: Yes! Actually, it’s rather unusual that a piece doesn’t get a second performance. Sometimes it is difficult: you were mentioning Philippe Manoury’s third quartet “Melancolia”: it is a long piece, more than forty minutes, thus it is less easy to program. We have only played it twice so far, but of course plan future performances. The work also requires us to play crotales as well as our instruments and this of course is an added practical problem. We play often pieces requiring extra equipment such as computer, microphones and so on. Apart from computers, we don’t own this equipment and it has to be provided by the organization for which we play. 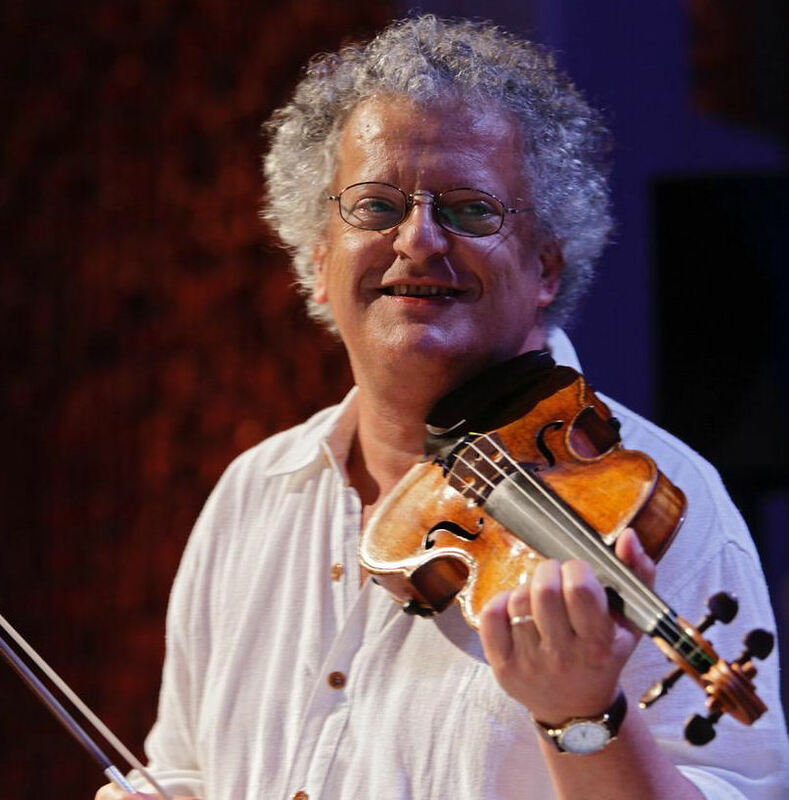 TV: There have been around ten changes in formation of the Arditti Quartet. How do you cope with this situation, is it long to integrate newcomers? IA: We try to get good players already acquainted with our repertoire. It is refreshing to work with new people, bringing fresh ideas. TV: I have met some composers, let’s say more in Dutilleux’s style than Boulez’s one, who told me they prefer their quartets to be created by classical ensembles than by specialized ones. IA: I feel fine with that, there are many composers and many quartets! What I can say is that we were very fond of Henri Dutilleux – he preferred our recording of Ainsi la nuit to the other versions. He attended some of our concerts where we played younger composers; he was always interested by new music, discussing their music with these young composers. He wanted to compose for us another quartet but, like Ligeti and Nono, he never managed. So I don’t have any problem with composers wanting to be interpreted by classical ensembles, the nice thing is that we can choose too. Some maybe don’t like our sound for example, but I’m not going to change the way I play. IA: No! I never answer to this type of question, having my many composer friends asking me why I didn’t mention them… We can say repeated performances of composer’s music must mean these pieces are important to us and the promoters who engage us. I went to Darmstadt when I was fifteen years old, meeting Stockhausen, Ligeti and later Xenakis: three composers important to me who influenced me tremendously. I was very close to Xenakis who wrote many pieces for the Ardittis’, pieces for quartet, a violin concert, etc,. Stockhausen wrote his crazy helicopter quartet, after telling me for years he would never write a string quartet. Ligeti told me during many years he was planning to write a new quartet but never did. I was from the beginning devoted to contemporary music, and that is what we started with but soon we incorporated music of the second Viennese school music, and then Bartok which I considered as points of reference. TV: Looking at your repertoire I was stunned to find out there is only one piece by Beethoven: the Große Fuge! IA: [laughing] It’s because it is modern music! We actually also played Op.95 and Op.131 but I don’t always advertise the fact. TV: Could you tell me something about the program you will play tomorrow at the Philharmonie? IA: I do not speak about music which has not been played yet. I hate reading programs, people can read what composers says afterwards. I think the public, listening to a concert should be inspired by what they hear – what can you say about music, analyze the music? Music is an audio experience; if it doesn’t have effect on you it’s either the music fault or our fault. When people go to a concert of well-known works, even if it is badly played, they know the best recordings, they know the pieces. This is why people like pop music: they want to listen to music they know, familiar to them. For me, contemporary music is exactly the opposite: the important thing is not to know what is coming. I have met many people after one of our concerts saying “I never heard this composer before but it was incredible”, this is especially from people who are not used to listening to contemporary music, they have a real experience. If you begin by telling them what is going to happen in a contemporary piece, they will close their minds and ears. So, excuse me if I don’t prepare you for tomorrow! TV: How long does it take you to prepare a program like tomorrow’s one? IA: Well, it depends on the program itself. Tomorrow there two pieces we have already played – Dufourt’s is the third performance and Hurel’s the second – and Dilllon, a creation; This programme takes us three or four days, including working with the composers and getting their opinion on our interpretation. TV: When will you retire, never? TV: You are giving masterclasses. Do you think the average technical level of instrumentalists is improving? IA: Yes, though some pieces are still very difficult for string players, even some older pieces like the string music of Brian Ferneyhough for example. More and more people are playing works we created and they are more interested in contemporary music. It doesn’t make the music easier to play, but people have more opened minds these days. TV: To finish, do you like opera? IA: I’m not particularly an opera fan. I prefer to listen to music instead of being told a story. My son Jake is a great countertenor; he is performing a lot of baroque repertoire but also played Prince Gogo in Ligeti’s Grand macabre. I often attend opera performances that he gives. He has also performed a work of my wife, Hilda Paredes, with the quartet as well as a work by Sciarrino last year. I go to the opera occasionally. I went in Paris years ago to listen to Helmut Lachenmann’s opera for example.